The final episode of Earthkeeping delves into behavioral concepts such as nature vs. nurture, and investigates the ways in which the environment shapes personal behavior. Several psychological questions are raised, such as the degree to which an individual may act independently of his/her environment. The work of Dr. Roger Park, who spent 25+ years living in and studying a small Kansas town, is used as a case study for understanding how social etiquette is informed by different environments. This relationship is introduced as the “behavior setting”, and described as the “intersection of two environments: the physical and the social”. The “environment” in Oskaloosa is depicted as continuously in flux; it is constantly evolving depending on the actions of Oskaloosa’s citizens. Once again, the members of Second City provide interludes to the program by staging a parody game show. 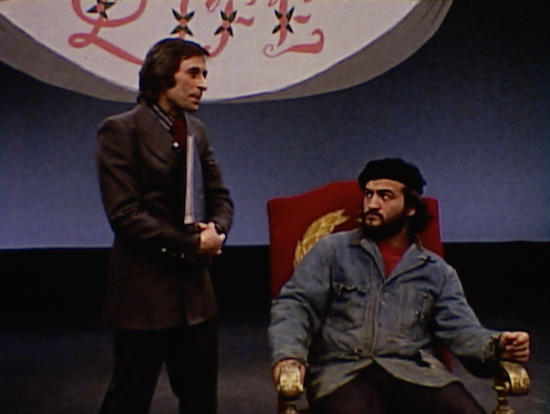 On “This Was Your Life”, the host (Jim Fisher) runs through some of the important chapters of Jesus Rodriguez’ (John Belushi) life. These events include the destruction of Jesus’ childhood home due to urban renewal developments and making various acquaintances with characters like Harry the Junkie (Harold Ramis). The selected events of Jesus’ life are presented as a snowball effect, leading Jesus to life on the streets with a $90/day dope habit, and eventually doing multiple stints in prison (convicted by “an all-white jury and an all-white judge”). Thanks for watching and reading, and please check out the other DeWitt Beall works we have streaming here! Additionally, stay tuned for more information regarding the “Lord Thing” restoration premiere at the Siskel Film Center this fall. Our FIRST STEPS program tonight spotlights dancers/choreographers Ruth Page and Sybil Shearer, but let’s not forget about another talented woman behind these films – Helen Balfour Morrison. Helen collaborated with Sybil Shearer to produce a large collection of extraordinary dance photographs and films. Helen was behind the camera, while Sybil was in front of it. The Morrison-Shearer Film Collection, which is owned by the Morrison-Shearer Foundation and housed and cared for by CFA, contains over 430 16mm films, 195 8mm films and 200 1/4″ audio reels. 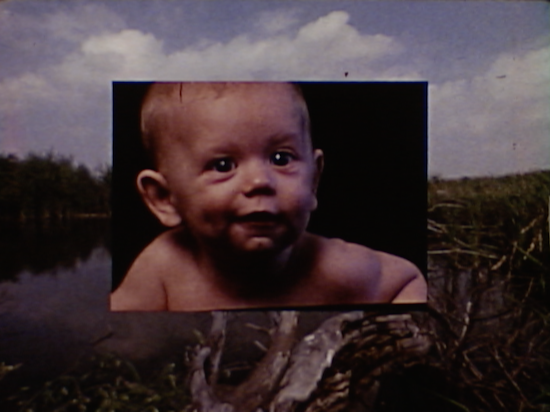 Almost all of the moving-image materials were shot by Helen. Helen Balfour Morrison (1901-1984) was born in Evanston, Illinois, the daughter of Fannie Lindley and Alexander Balfour, an engineer and a proud, aristocratic Scotsman. When Helen was 17, her mother died, and Helen took a job in a photography studio to help support the family. At this studio she learned to use the portrait camera and helped expand the studio’s business with creative ideas of her own. In the 1930s, Helen embarked upon a personal photography project – the Great Americans series. 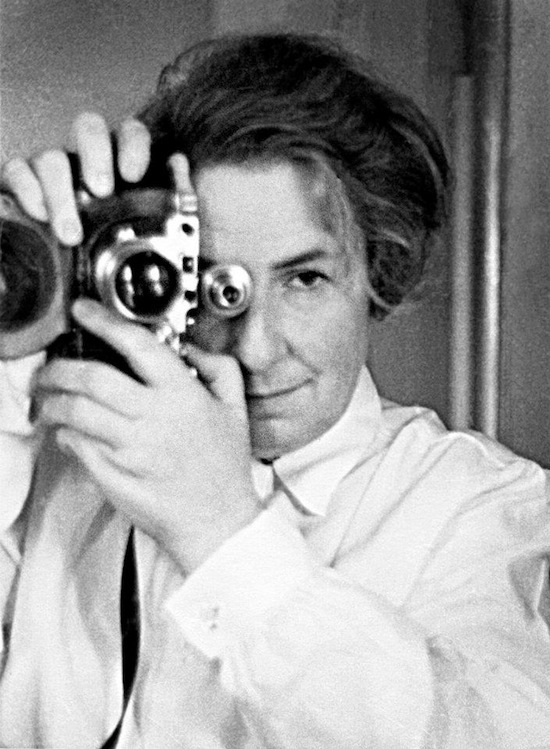 She photographed some 200 notable personalities including Robert Frost, Helen Hayes, Nelson Algren, Frank Lloyd Wright, Alice B. Toklas and Gertrude Stein, Mies van der Rohe, Amelia Earhart, Jane Addams, and Saul Bellow. Most of these portrait sessions took place in Chicago or in New York and were exhibited widely in museums throughout the country. In 1942, Morrison met Sybil Shearer, and although her portrait work and exhibitions of the Great Americans continued, her attention gradually shifted to Sybil as her primary subject. She finally abandoned the Great Americans series in 1945. Her collaboration with Sybil Shearer produced a large collection of extraordinary dance photographs and films, as well as an intense and sensitive documentation of the life of this artist. Today her extensive portfolio remains largely unpublished and unknown, something the Morrison-Shearer Foundation and now, CFA, are working to rectify. In a real sense, Helen sacrificed her own career to promote that of Sybil. Besides designing the lighting, Helen took over the complete management of Sybil’s publicity, performances, travel arrangements, and hospitality. She experimented with the role of impresario, presenting dancer Ruth St. Denis in 1946 and both dancer Eleanor King and sculptor Richard Lippold in 1948. In 1949 she conceived a short-lived series of programs which she called “Rondo,” presenting other artists, including Uta Hagan, Merce Cunningham, pianist William Masselos, and Frank Lloyd Wright. In later years she made films to record Sybil’s dances, and made one artistic film of her own.